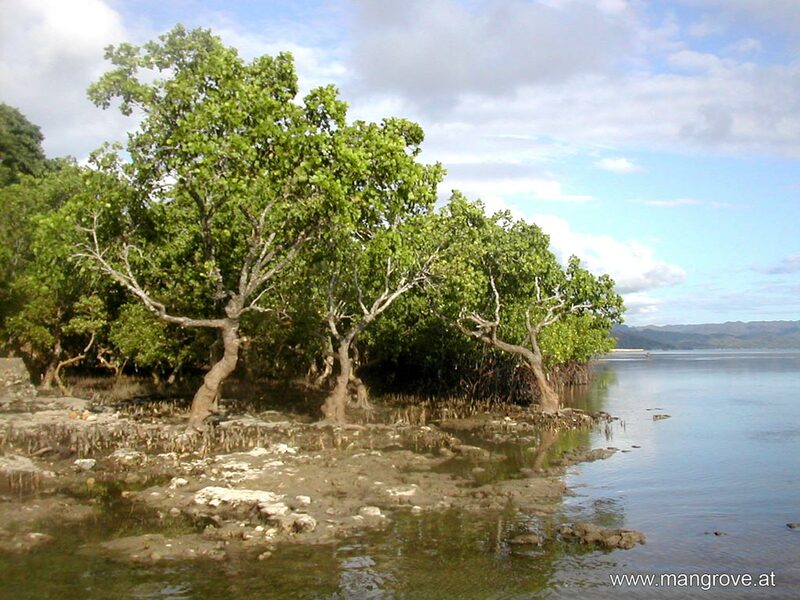 Mangroves are often a huge community of trees and shrubs of different mangrove spieces. 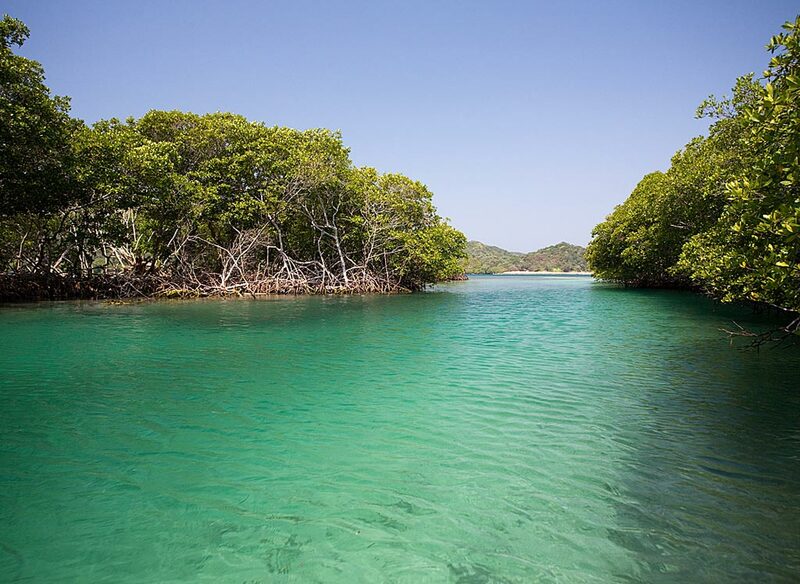 Through the ability of floating seeds and propagules mangroves have been able to conquer large areas along coasts, rivers, creeks and inland depressions in countless countries and islands. 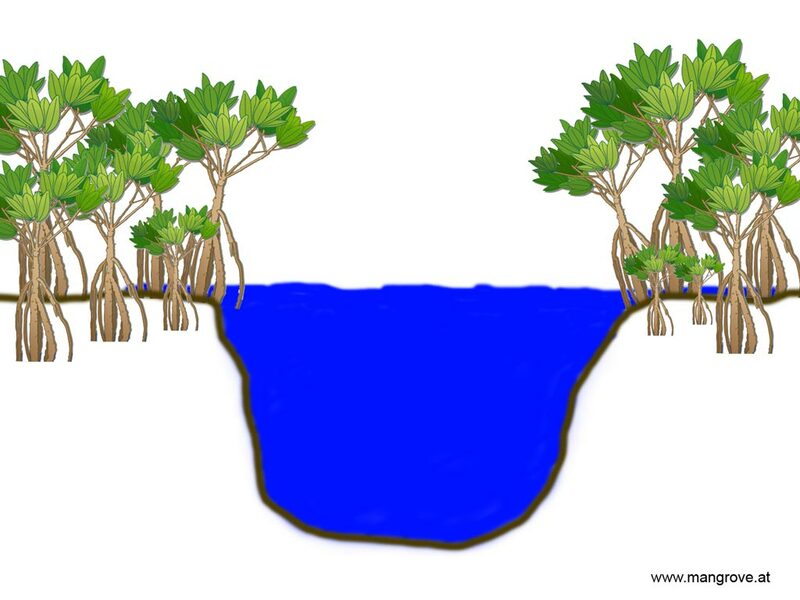 low tide Overwashed mangrove forests are islands frequently washed over by tides and therefore wash away organic matter. 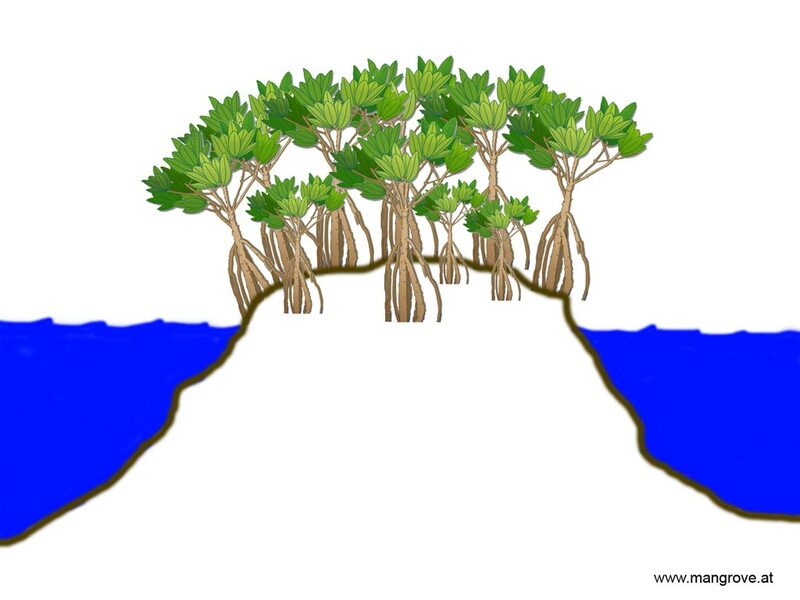 The islands are small and narrow extensions of larger landmass. 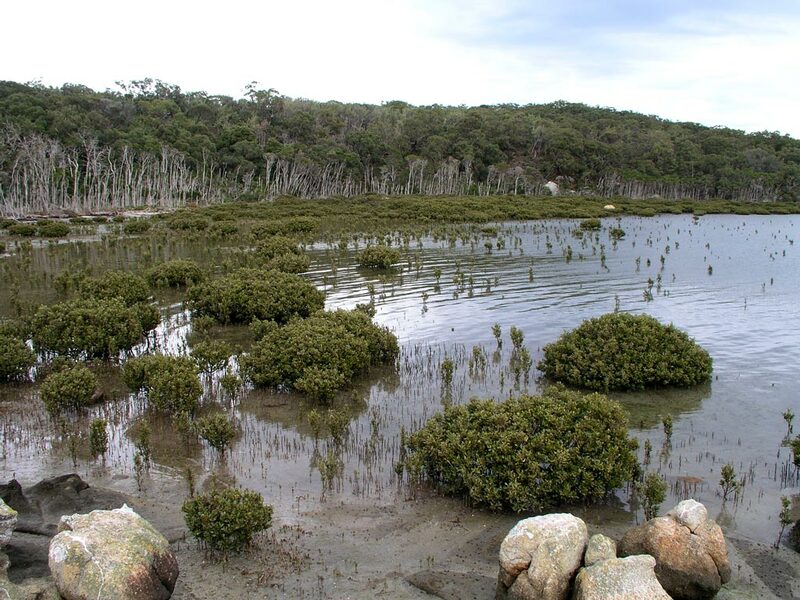 Normally these islands are dominated by Rhizophora species but also other very salt tolerant mangrove species can be found as Avicennia for example. 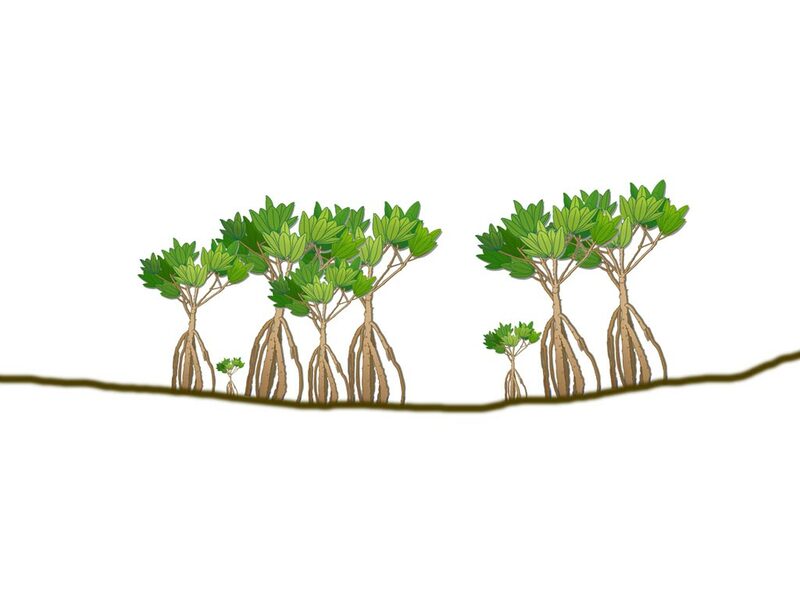 As the mangroves develop more roots sediment and biomass will get stuck and caught. 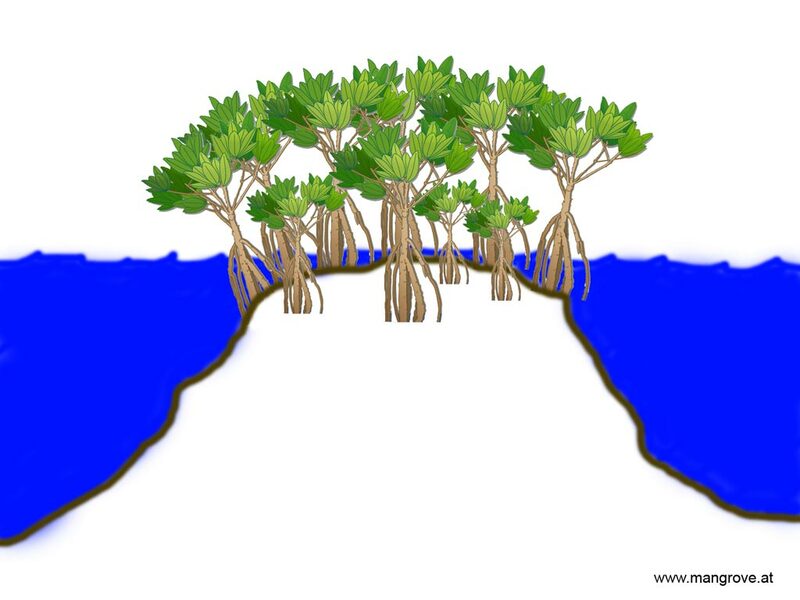 Mangroves on growing in overwashed mangrove forests normally reach a height between 2 to 7 meters. 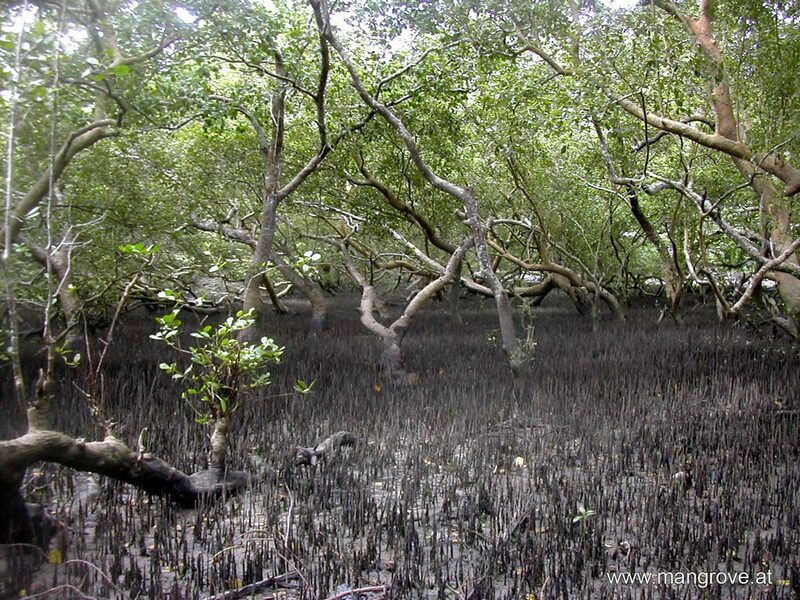 low tide Fringe mangrove forests are the typical and classic mangrove zonation pattern. They grow as a relatively thin fringe along the coast. 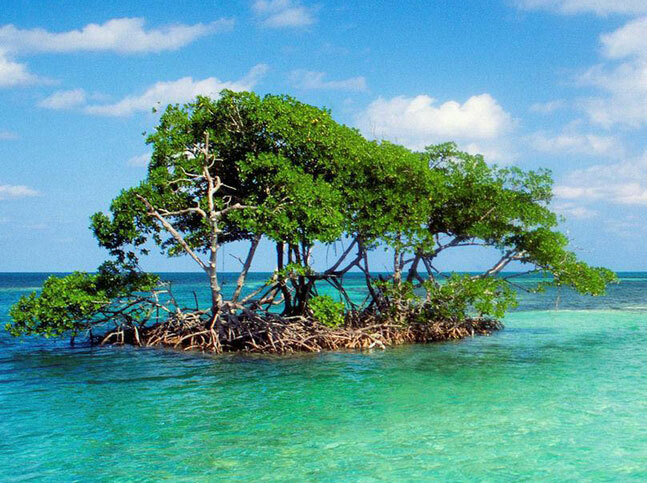 Fringe mangrove forests are directly exposed to the tides and sea waves and therefore exposed to storms and strong winds with high energy. 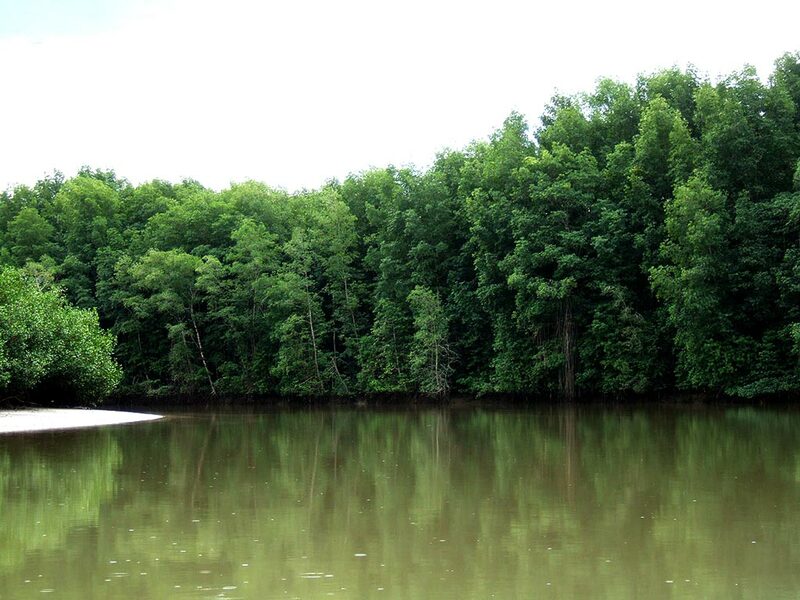 Because the mangroves growing in fringe mangrove forests are flushed daily by tides and do not receive the amount of nutrients as mangroves in riverine mangrove forests do and therefore most of the time do not exceed an height of 10 to 12 meters. Dominated by Avicennia, Rhizophora and Sonneratia. 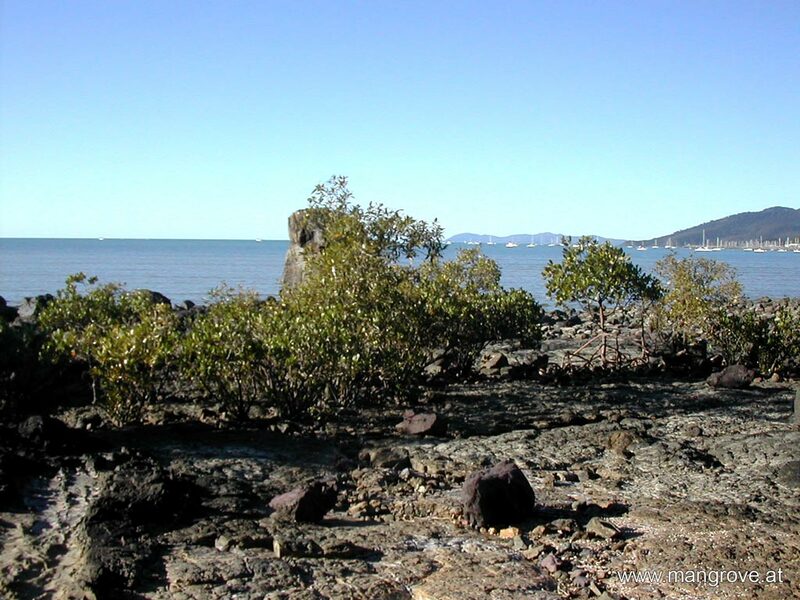 low tide Dwarf mangrove forests are fringe mangrove forests appearing in colder climate and/or sediments with little amount of nutrients. 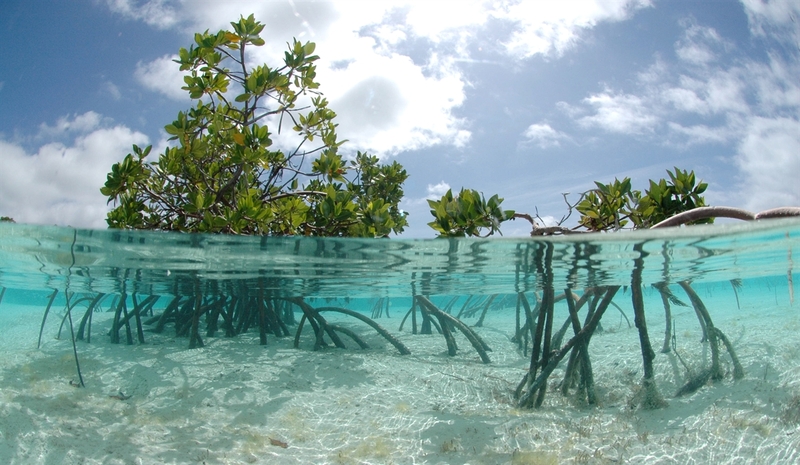 Most of the time dwarf mangrove forests can be found in the very north and very south of mangrove habitats. 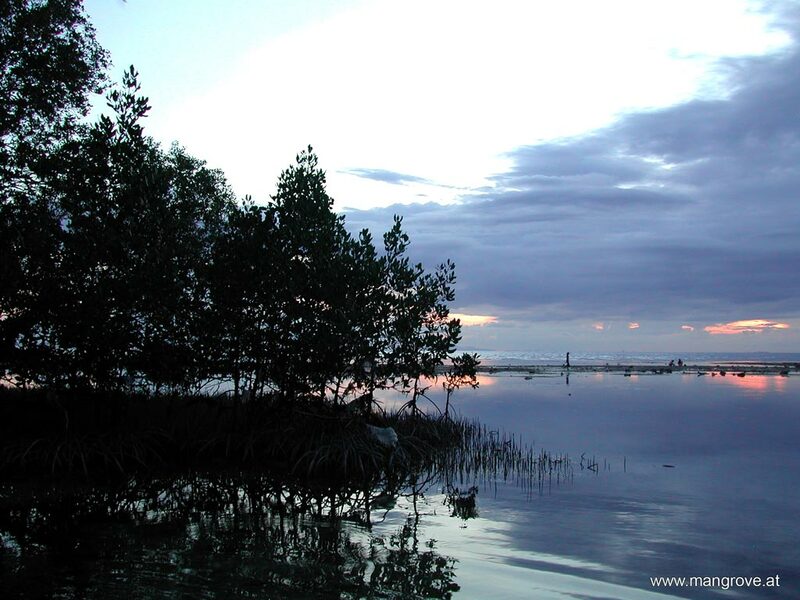 low tide Riverine mangrove forests are floodplains that grow along flowing waters such as tidal rivers and creeks which are flooded by most high tides and dry up at most low tides. 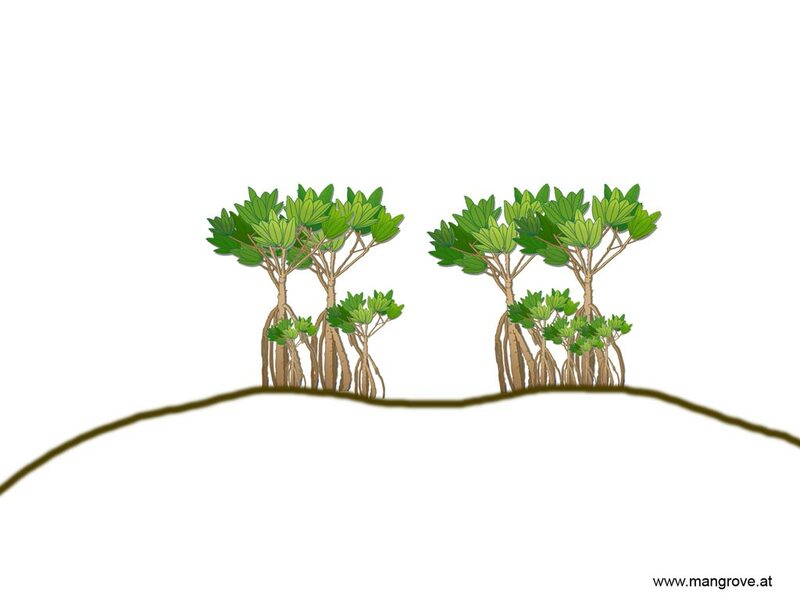 The growth can extend several kilometers inland from the coast. Salinity varies during different seasons such as dry and wet season. 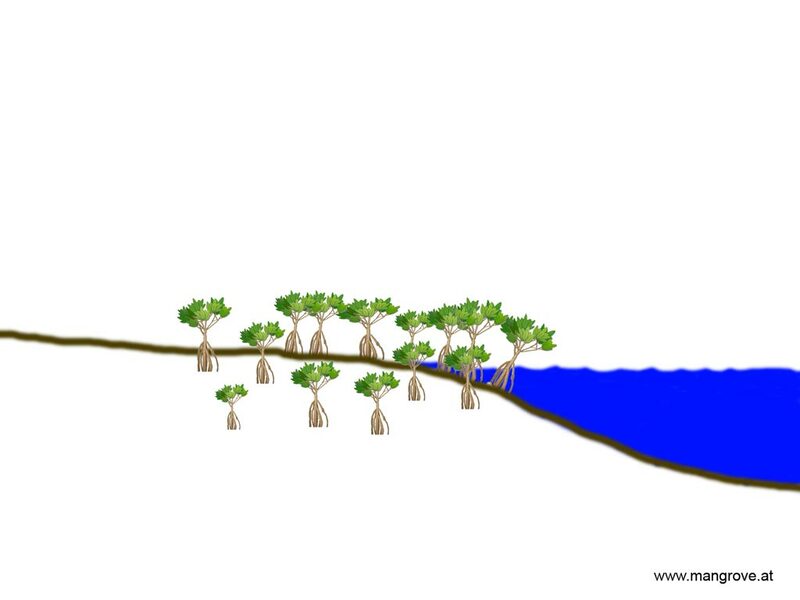 The growing conditions are perfect for mangroves, the freshwater runoff from uplands, the large amount of terrestrial and fluvial nutrient influx, the daily flushing tides, the sheltered areas where mangroves are not exposed to sea waves and storms, all these conditions provide a perfect combination which can lead to luxuriant and extensive growth of mangroves and enable mangroves to reach a heigt up to 35 meters. 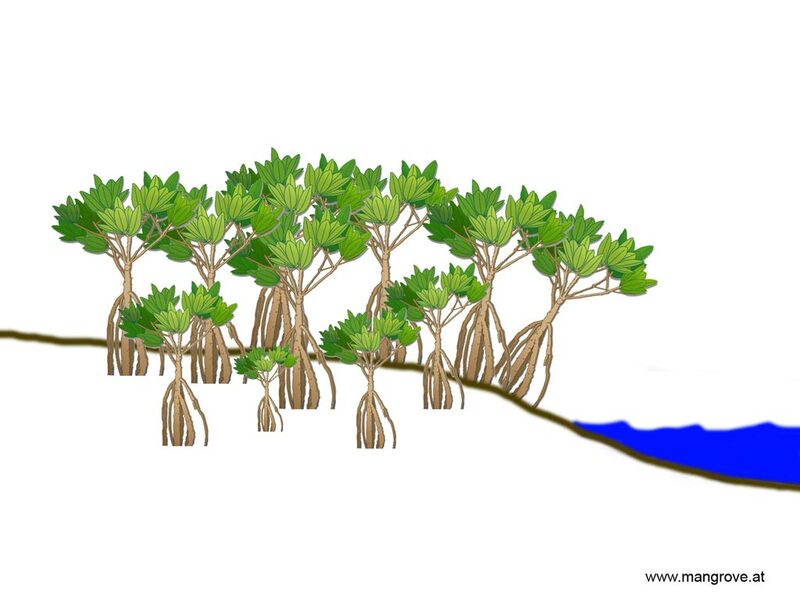 Most of the mangrove species can be found in riverine mangrove forests. 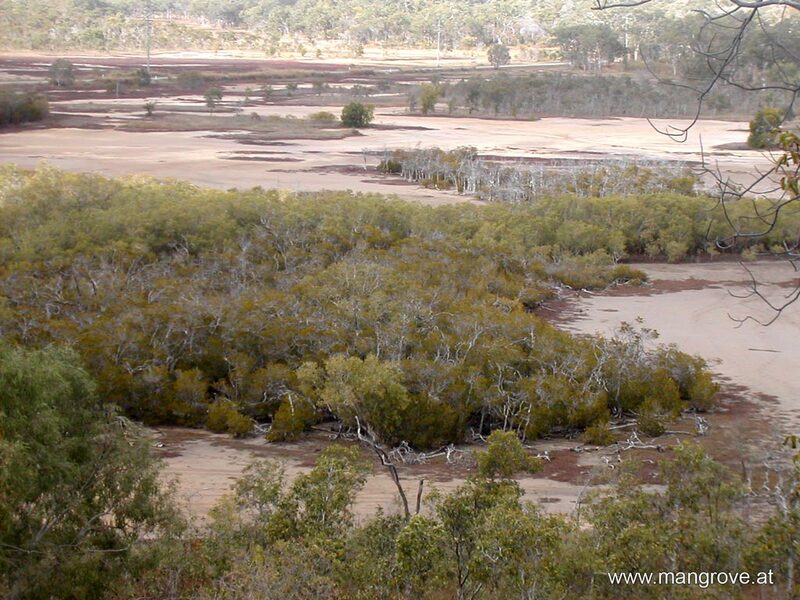 dry season Basin mangrove forests are partially impounded depression which are flooded occasionally during dry season and reguarly during wet season. 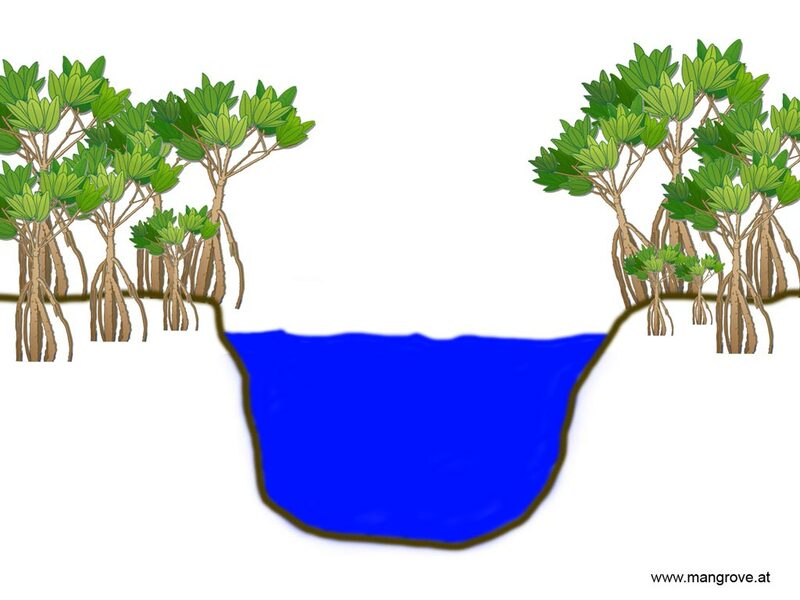 During dry season, the water level in the basin like a pond continues to decrease very slowly caused by the groundwater flow discharging to open sea due to water level difference between the basin and the open sea, therefore the salinity is the soil is high. 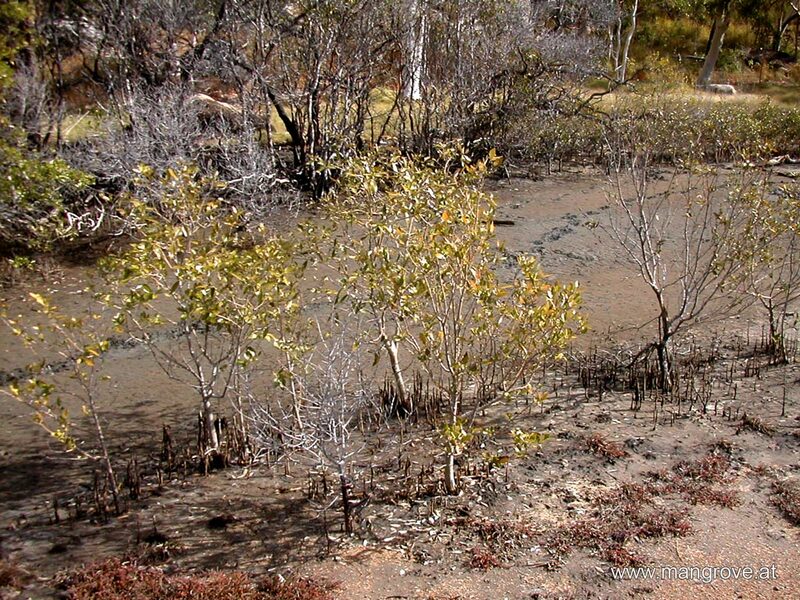 Mangroves growing in basin forests are often stunted and are often located in interior of swamps or drainage depressions. The water in basin forests is stagnant or just very slowly flowing. 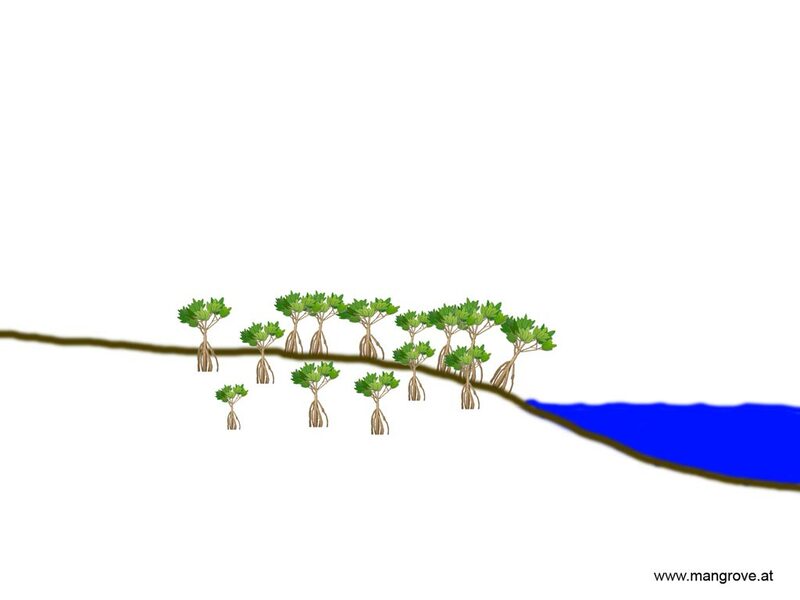 Most of the time basin mangrove forests are dominated by Avicennia and Rhizophora species. dry season Hammock mangrove forests are the same as basin mangrove forests, the difference is that hammock mangrove forests are more elevated than basin mangrove forests and therefore more often isolated but still receive tidal influences. During dry season, the water level in the basin like a pond continues to decrease slowly caused by the groundwater flow discharging to open sea due to water level difference between the basin and the open sea, therefore the salinity high. 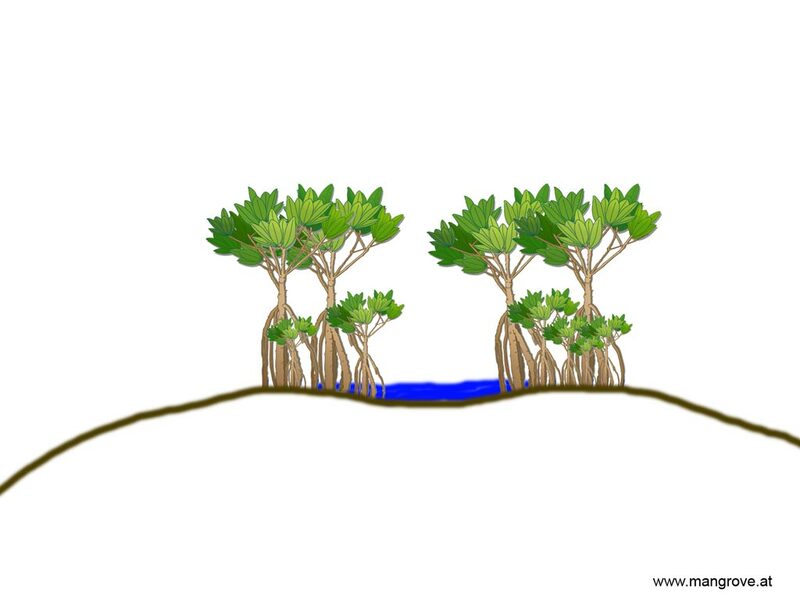 The water level decreases a little bit faster than in basin mangrove forests as the distance to groundwater is longer and the water runoff quicker. 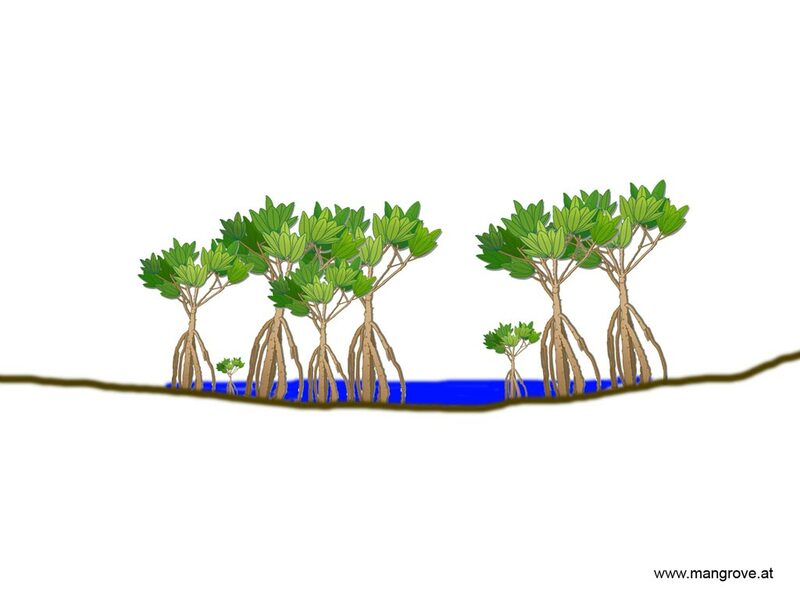 Mangroves growing in hammock forests are almost always stunted, reason is the little amount of nutrients and the high salinity. 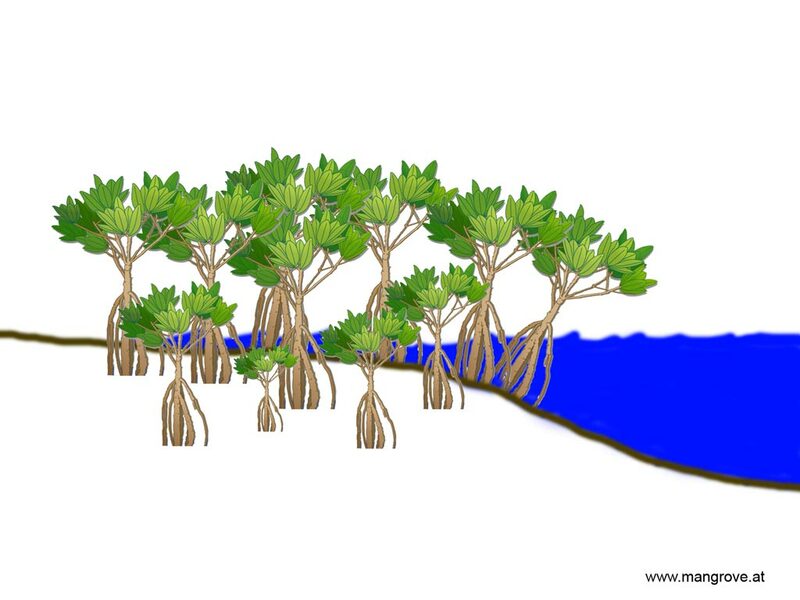 The mangrove plants are often located in interior of swamps or drainage depressions where the water is stagnant. 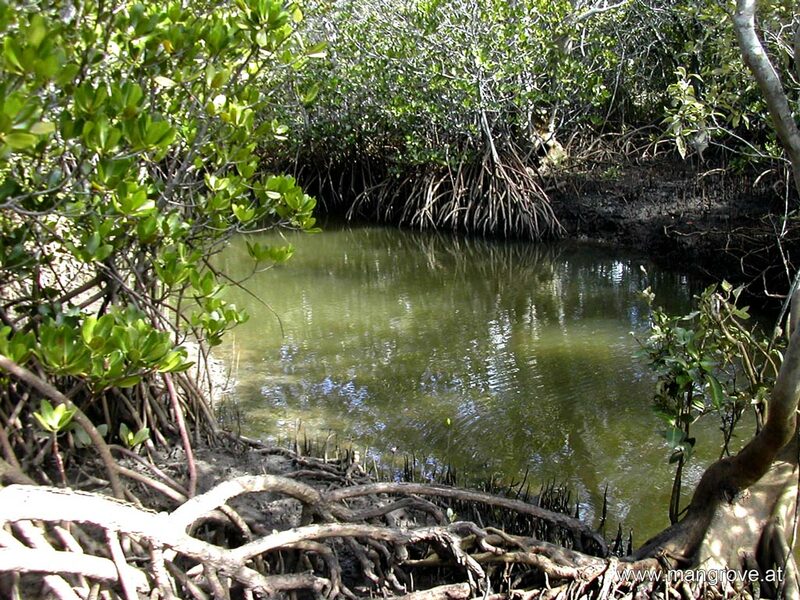 Most of the time hammock mangrove forests are dominated by Avicennia and Rhizophora species.